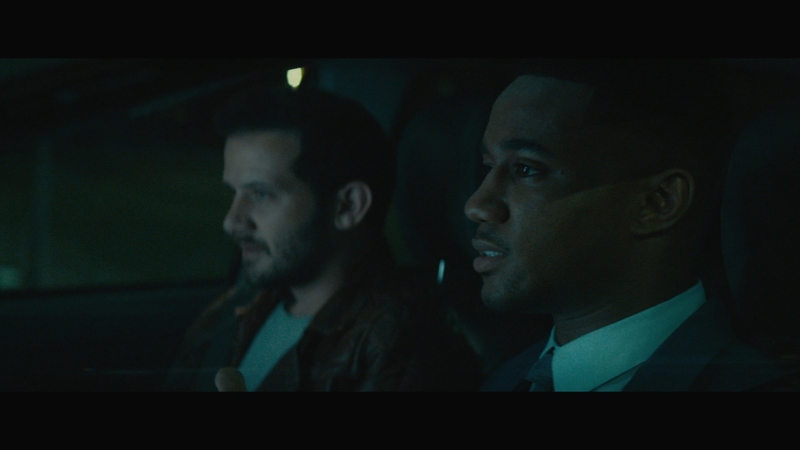 A struggling actor in L.A. moonlights as a driver for a ride-sharing app. One night will spiral out of control when he picks up a passenger with a twisted sense of fun in this pulse-pounding indie thriller. 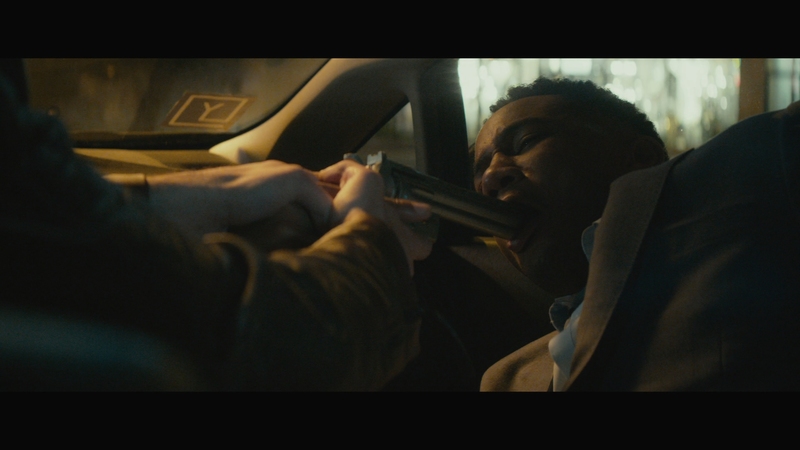 Writer/director Jeremy Ungar’s Ride stars Bella Thorne, Jessie T. Usher, and Will Brill. 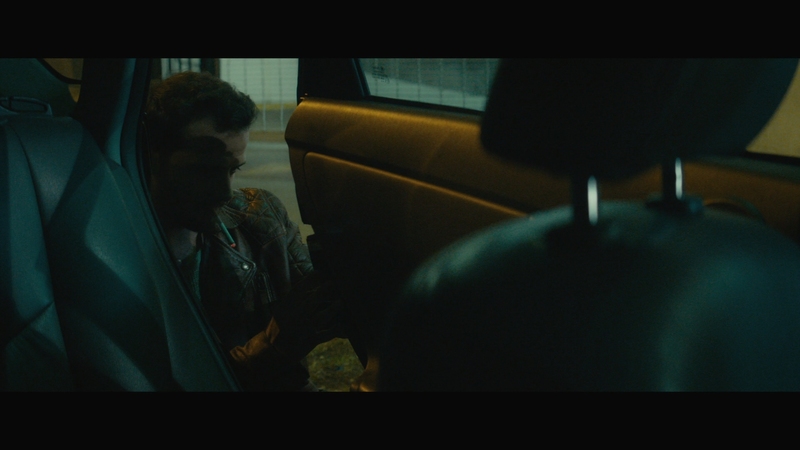 It explores the dangers of driving strangers around for a living. 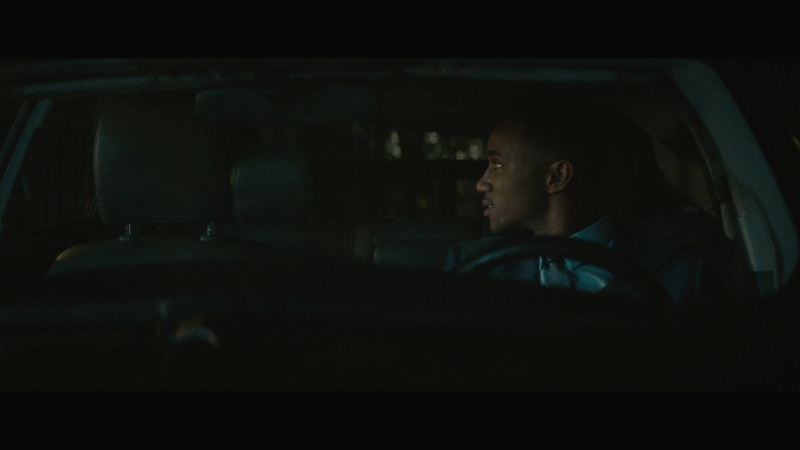 James (Jessie T. Usher) is a young man that makes ends meet by working as a driver around L.A. He’s the proverbial struggling actor, nearly dropped by his agent before booking a gig as a henchman on Marvel’s Agents of Shield. One night he picks up Jessica (Bella Thorne) for a fare and turns down an invite to hang out with her at a local hot spot, despite obvious chemistry. He’s committed to his driving job for that night and not looking for trouble. That all changes when James goes to pick up his next fare, the edgy and outgoing Bruno (Will Brill). Bruno soon convinces James he needs to go back and find Jessica right now for a night out. 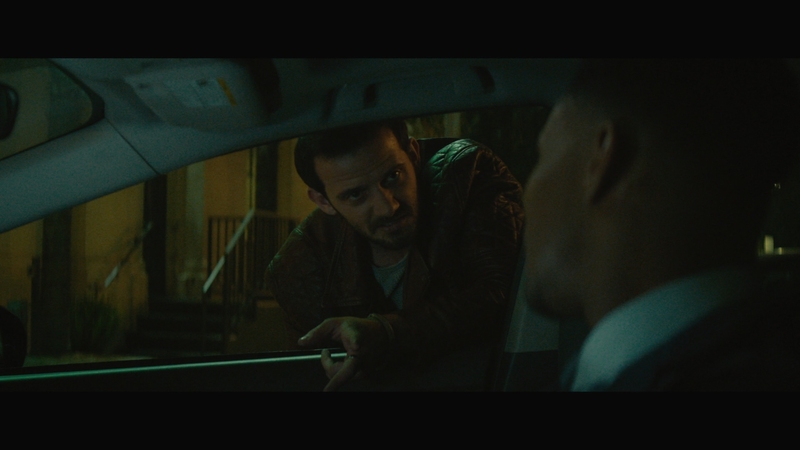 Wandering around familiar L.A. locations in James’s car, Bruno doesn’t seem to have a firm destination in mind for his fare and seemingly wants to hang out. Things quickly escalate for the trio into real danger and tension as we learn more about these strangers’ backgrounds. What starts out as a fun joy ride becomes deadly and dark. Ride is a small and intimate thriller that likes pushing boundaries. The plot is steeped in little in-jokes aimed at the Hollywood crowd. 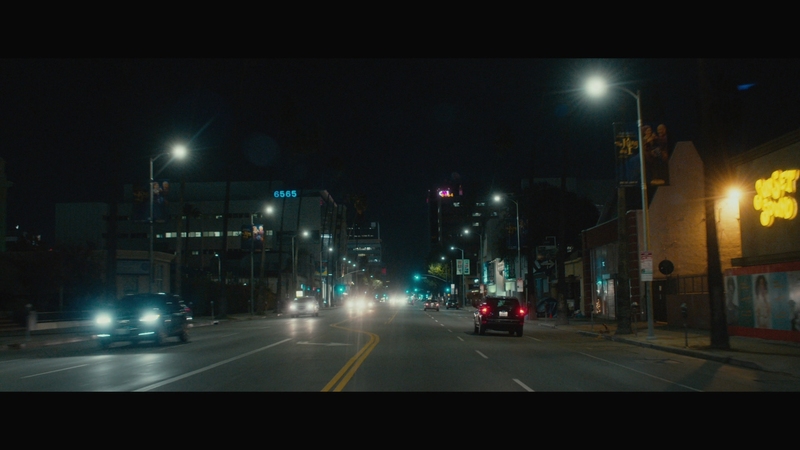 Most of the “action” takes place inside a car with brief excursions around L.A. It begins a little slowly as we are introduced to James, Jessica, and Bruno as characters. Bruno is the charismatic presence that carries the short narrative, coming in at a relatively slim 76 minutes. Originally made as a short film, Ride doesn’t overstay its welcome in building suspense and danger with unnecessary sub-plots. It’s an unpredictable thriller with interesting characters, even if James feels underwhelming as a protagonist. Bella Thorne is clearly included to make the movie more marketable. Ride is a so-so thriller that doesn’t break any new ground but does just enough to make things entertaining. The cast has the chemistry and presence necessary to make the threadbare script work, even with a few plot holes that are ducked. The indie thriller throws a few decent curveballs that make it worthwhile. Ride isn’t much of a looker on Blu-ray. The gritty picture quality screams low-budget indie thriller. That seems to be a conscious aesthetic choice. For a new production, Ride’s sharpness and clarity are below par. The flat, dull cinematography has serviceable black levels and a middling contrast. This is Blu-ray video that wouldn’t have lost much impact on DVD. The technical presentation and transfer seem about right. Ride runs 76 minutes, encoded in AVC on a BD-25. Ride is shown at its native 2.40:1 aspect ratio in disappointing 1080P resolution. RLJ Entertainment gives the AVC encode serviceable parameters, clocking-in around 21 Mbps. There aren’t obvious artifacts but the grainy presentation doesn’t have a wealth of detail. The 5.1 DTS-HD MA audio for Ride belies its indie roots. This is a limited surround experience as most of the plot occurs with James and his passengers inside a car, driving around L.A. The music by Paul Haslinger has an electronic feel common to modern thrillers. Ride has a basic, perfunctory surround mix with clean, intelligible dialogue. 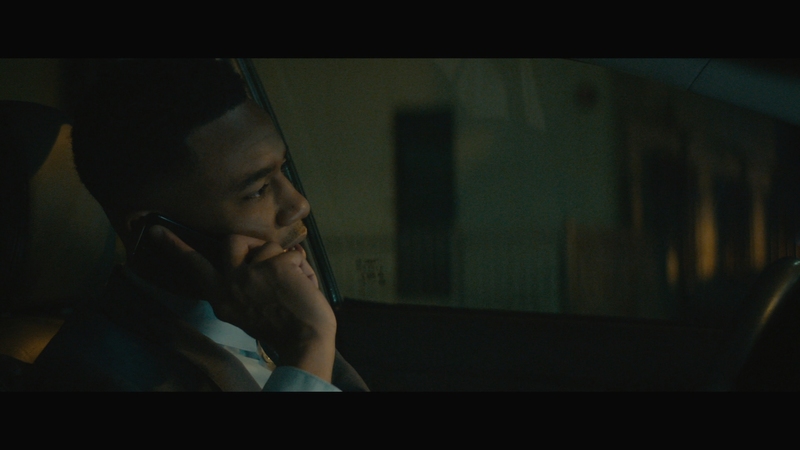 The dialogue-driven thriller throws in a few choice songs, including one notable moment built around an R. Kelly track. Optional English SDH, Spanish, and French subtitles play in a white font. They remain inside the widescreen framing at all times. RLJ Entertainment includes the original short film that presumably got director Jeremy Ungar the greenlight to make his full-length movie. A glossy, embossed slipcover is available. Original “Ride” Short Film (15:41 in HD; 2.0 DTS-HD MA) – This entertaining short may actually be better than the full-length feature. Also written and directed by Jeremy Ungar, it packs the first two acts of the full Ride into fifteen taut minutes without losing a thing. There is an uncanny duplication of dialogue if you’ve already seen the longer Ride. Most interesting is that actor Will Brill plays Bruno once again, but Pretty Little Liars’ alum Ian Harding plays James. In a strange twist of fate, the short film has far better picture quality than the main feature. Photo Gallery – Nine random stills grabbed from the movie. Ride is a taut, lean indie thriller that delivers enough thrills for jaded audiences including great performances from a small cast. The unaltered images below have been taken directly from the actual Blu-ray. For an additional 16 screenshots taken from Ride, early access to all screens (plus the 19,000+ already in our library) in full resolution, dozens of exclusive 4K UHD reviews and other perks, support us on Patreon.